We are proud to offer music gifts: music themed jewellery, personalised clocks, stylish treble clef clocks, key rings, birthday cards, thank you cards, mobile phone charms and other gifts for the discerning shopper and musician. Please browse a category of interest by clicking on an image below or a text link on the left. We are constantly increasing our stock and range so check back regularly. 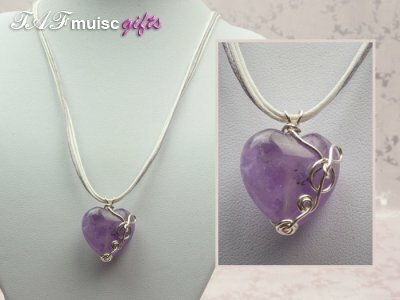 Our unique TAF Music Gifts range of hand made music jewellery includes necklaces made with specially selected gemstones such as Labradorite, Agate, Jasper, our own design guitar earrings, violin earrings and other earrings in a range of treble clef and other designs, funky bracelets and treble clef rings. Whether you are looking for anything with a musical theme: delicate jewellery, cufflinks, tie clips, a personalised clock, watches, key rings, greeting cards, mobile phone charms, or just a basic 2B pencil for marking up orchestral scores, we are sure you won't be disappointed with the items we sell. All hand made and personalised items are unique to TAF Music Gifts, you will not find them for sale anywhere else in the world. As most of our stock is hand crafted in Herefordshire, UK, each item is unique and therefore may vary slightly from the item illustrated. 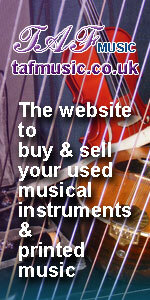 We ship to Britain and a number of countries and use Royal Mail for delivery. We charge postage at cost (packet rate) plus a small amount for packing. Your trolley will let you know how much postage you will pay as you fill it up and will allow you to select overseas postage before you commit to buy. Payment is via our Pay Pal checkout (no Pay Pal account necessary).